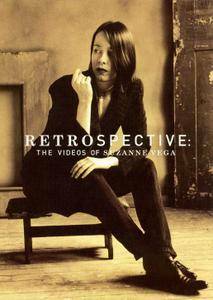 With hits such as "Luka" and "Marlene on the Wall," folksy singer-songwriter Suzanne Vega helped pave the way for future artists the likes of Tracy Chapman, The Indigo Girls and Sinead O'Connor. This retrospective features all 16 of Vega's videos, including "Tom's Diner," "In Liverpool" and "99.9Fº." Extras include an alternate video of "Caramel," promotional videos for three of Vega's albums, a discography and a rarities archive. 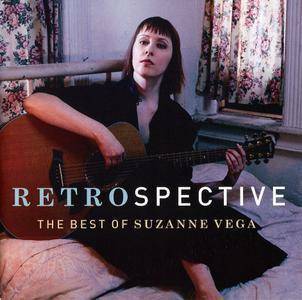 Retrospective: The Best of Suzanne Vega is essentially A&M's updated version of their 1999 issue, The Best of Suzanne Vega: Tried and True, adding "Tired of Sleeping" from Vega's Days of Open Hand, "Calypso" and "Solitude Standing" from Solitude Standing, "(I'll Never Be) Your Maggie May" and "Penitent" from the 2001 recording Songs in Red and Gray, and "Woman on the Tier (I'll See You Through)" from the Dead Man Walking soundtrack. 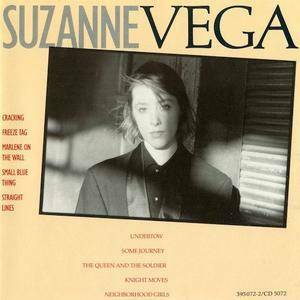 Unfortunately, A&M chose to drop "Book and Cover" from the track listing, which was only previously available on The Best of Suzanne Vega: Tried and True, but the overall collection feels a little bit more hearty with a total of 21 tracks instead of 17. 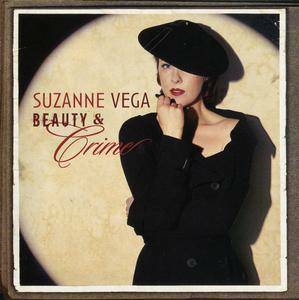 Beauty & Crime is the seventh studio album by singer-songwriter Suzanne Vega. It is her first album of new material since 2001's Songs in Red and Gray and her first for Blue Note Records. It was released on July 17, 2007. Beauty & Crime won the Grammy Award for Best Engineered Album, Non-Classical, on February 11, 2008. On Beauty & Crime, Suzanne Vega's Blue Note Records debut, the Manhattan native uses New York City as the backdrop for a collection of eleven new songs that juxtapose acoustic guitar-driven melodies with coolly synthesized beats; intensely personal lyrics with compelling, short story-like narratives; images of today's scarred cityscape with memories of Vega's old Upper West Side 'hood and Lower East Side haunts. The past commingles with the present, the public with the private, familiar sounds with the utterly new, just like the city itself. Making her first new studio album in six years, Vega says, "I feel like I really stretched my limits. I pushed myself out of my comfort zone–to sing in keys I wouldn't have sung in before, to work with different textures, to be unafraid of doing what ever sounded good to me. I wanted to make a modern classic." 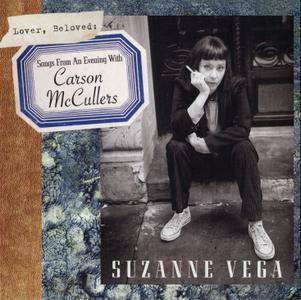 Lover, Beloved: Songs from an Evening with Carson McCullers is the ninth studio album by the American singer/songwriter Suzanne Vega. The album is based on a play "Carson McCullers Talks About Love" about the life of the writer Carson McCullers, written and performed by Vega, which premiered in 2011. 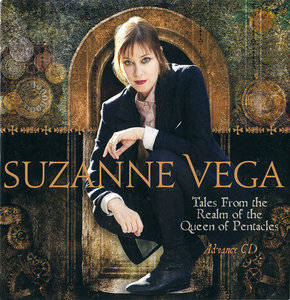 Suzanne Vega wrote 8 songs in collaboration with Duncan Sheik and 2 with Michael Jefry Stevens. 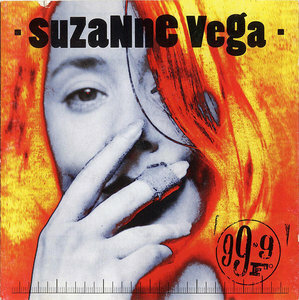 While 99.9 F° is not the techno album that Suzanne Vega was rumored to be making, it does offer a significant departure from her previous contemporary folk albums. Vega uses more synthesizers and drum machines, often evoking a bizarre carnivalesque atmosphere on the album. Still, 99.9 F° is a folk album at heart; every song is steeped in traditional song form, and Vega's writing is strong. Fans of Vega's previous work might be taken aback, but those willing to listen to the album will find that she has produced one of her strongest yet. 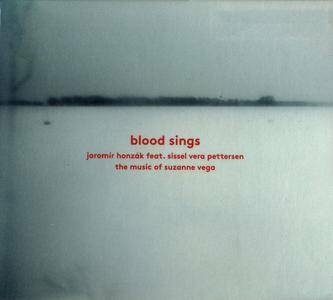 2012 album by renowned jazz bassist and composer Jaromír Honzák is for the first time not comprised of his own compositions but is dedicated to song by Suzanne Vega in Honzák´s charac­teristic arrangements. Honzák is joined here by the Norwegian singer Sissel Vera Pettersen, Polish drummer Łukasz Żyta, pianist Vít Křišťan and guitarist Josef Štěpánek. The album was recorded at the end of 2012 at Sono Studios. Though early comparisons were made to Joni Mitchell, Suzanne Vega's true antecedents were Janis Ian and Leonard Cohen. 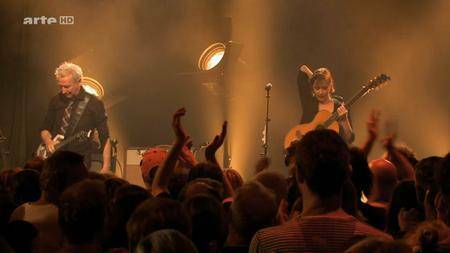 Like Ian, she sings with a precise, frequently half-spoken phrasing that gives her lyrics an intensity that seems to suggest an unsteady control consciously held over emotional chaos. Like Cohen, Vega observes the world in poetic metaphor, her cold urban landscapes reflecting a troubled sense of love and loss. 2014 release, the first studio album of new material in seven years from the singer/songwriter. Tales From The Realm… features 10 new songs, each telling a story that has to do with the material world and the world of the spirit and how they intersect. Suzanne spent the past few years writing and recording these new gems on the road, recording portions in Chicago, London, Prague, LA and New York City, and Kyserike Station, an old train station in upstate New York. Tracking for the album took place mostly at the Clubhouse Studios in Rhinebeck, and the album was mixed by Kevin Killen, who has worked with Peter Gabriel and Kate Bush.